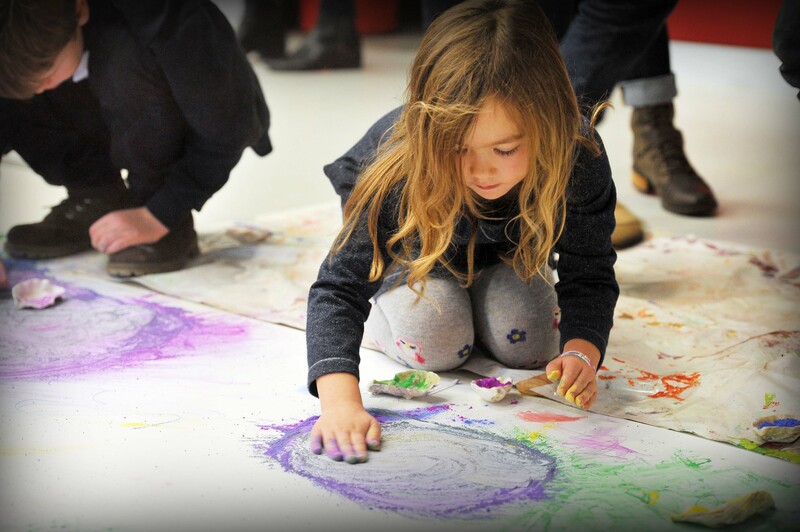 Duncan and Willow returned to firstsite on 22nd November for two more Free Family Saturday sessions – this time exploring the idea of the ‘Colour of Sound’ in relation to the organ. 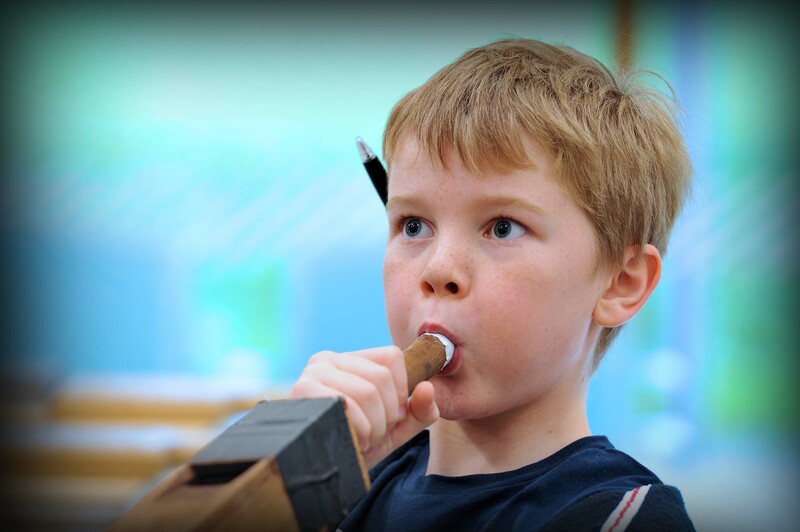 In these sessions, the families explored the sounds of the organ pipes with Duncan making short recordings and playing them back to create live performances! Once everyone had got the hang of it, local Colchester oyster shells were added as extra percussion! At the end of the sessions the children added in descriptive words relating to what they created in the visual arts activity. 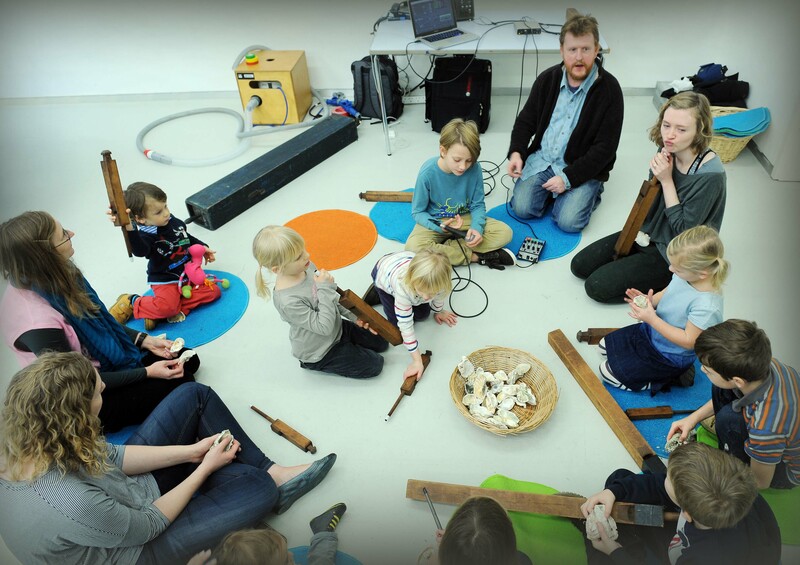 Can you recognise the sounds made in these recordings from the sessions? 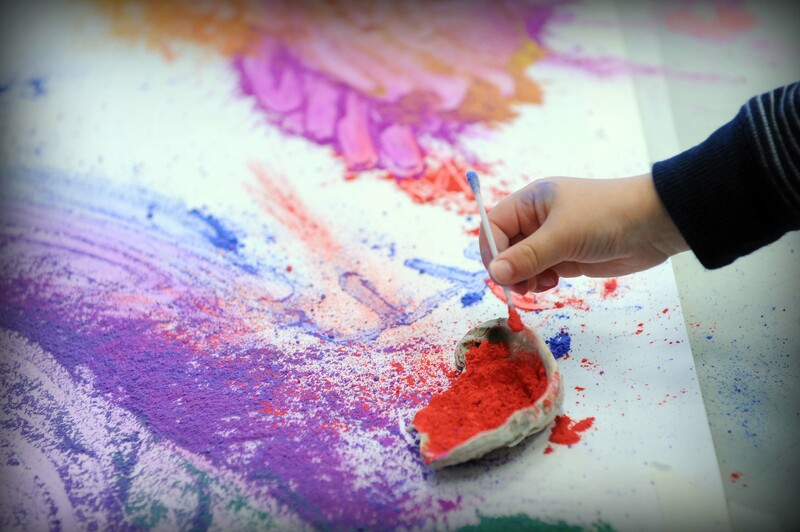 Moving from sound to sight, the families then worked with Willow to visualise the sounds they heard, using vibrant powder paints to create some beautiful large-scales shapes and washes of colour.